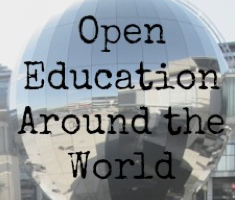 In our final Open Education Week #openeducationwk post we have an introduction to Open Education in South Korea from 신하영(Stella HaYoung Shin). 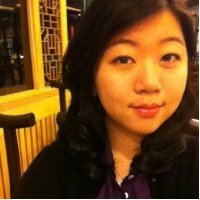 Stella is a Ph.D candidate of Educational Policy and Administration at Sookmyung Women’s University in Yongsan-gu, Seoul, South Korea. Founded in 1906, Sookmyung is Korea’s first royal private educational institution for women. She is also a volunteer and activist for Open Educational Resource at Creative Commons Korea. The Republic of Korea a.k.a. South Korea is a sovereign state in East Asia, constituting the southern part of the Korean Peninsula. Roughly half of the country’s 50 million people reside in the metropolitan area surrounding its capital, the Seoul Capital Area, which is the second largest in the world with over 25 million residents. In South Korea there have been an increasing number of OER available since 2009. The slide set below was shared at a Creative Commons Asia-Pacific Regional meeting on 2012 to introduce that time’s current aspects of OER in Korea. It contains many of screen shots and labels on those OER cases in Korea and brief tendency analysis about the OER movement in Korea. More and more participations by governmental sector (ministry and related institutes), individuals, NGOs, community, and corporates. Until 2012 most OER projects in Korea happened in the Higher Education area, driven by universities, for example the OCW –now MOOC- movement. However in late of 2011 there was an uprising of the OER movement in K-12 education with great wave of D.I.Y activities. This was driven by the new curriculum introduced by the ministry of education which improved cognition of Creative Commons licences in Korea and open resources. There are now some remarkable OER case studies in Korea (see POERUP for more information). 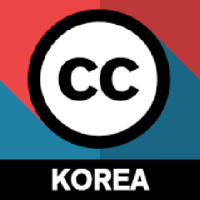 These have not only been facilitated by Creative Commons Korea but also by many individuals and groups. Much of my work at Sookmyung Women’s University (SMWU) has been devoted to developing OER surroundings in South Korea through launching and running SNOW (Sookmyung Network for Open World) during 2009-2010. SNOW has launched a vision of an ‘OER missionary’ to Korean users under the motif to provide valuable global OER to Korean users and accessible guidelines to make use of them. Comparing other OER interfaces and service providing organizations and web-sites, SNOW can be one of the most ‘kind’ and ‘open’ OERs allowing users find localized OER easily. SNOW developed an interactive OER localizing platform for not only students of SMWU but also general users seeking ‘kind, local’ OERs. The most remarkable achievements of SNOW are the user-based content uploading-sharing-review system, SNOW Wiki system, as cooperative translation and interactive revision system and SNOW Eco-system as unique credit-saving system for donation system. SNOW can be a frontier model to envision the way to distribute OER efficiently, legally-based on Creative Commons licences, and suggests a mutual vitalization of Asian universities’ OER projects. The Creative Commons Korea Association (CC Korea) was founded in January, 2009. As a not-for-profit incorporated association, CC Korea started its activities as the official CC project team in Korea. 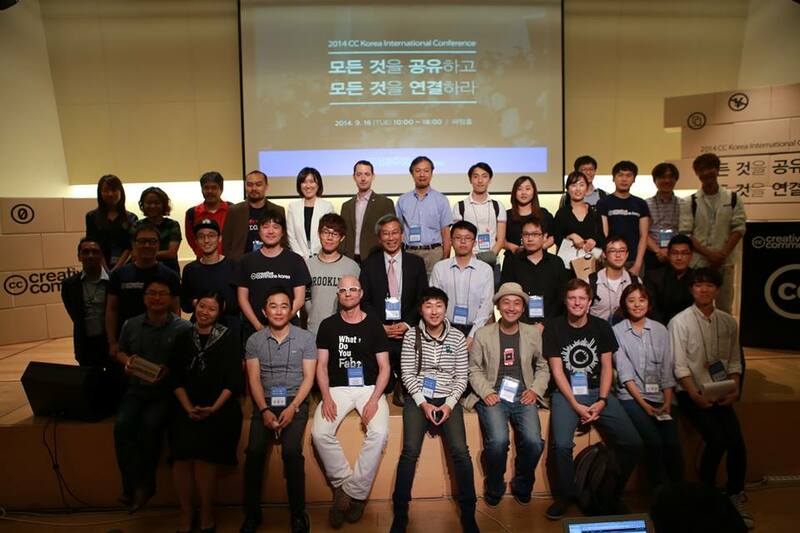 Around thirty to forty voluntary staff with various backgrounds, such as lawyers, students, artists, professors, businessmen and so on, are taking part in many projects to promote open culture including spreading CC in Korea. For more information see the Creative Commons Korea wiki, Facebook group and Slideshare site. For 2013’s Open Education Week festival Creative Commons Korea supported an opened webinar: an online seminar on March 12, 2013. At this webinar, Creative Commons Korea’s chief coordinator Jennifer Kang gave short and impactful lecture on “the Change of Education and How to use Creative Commons licences” and she led the web conference dealing with various issues from MOOC contents making in university related with copyright infringement. Link to announcement post (written in Korean only). This consigned MOU contract states that the National Digital Library of Congress will release the contents with using CCL towards the Library’s repository stored contents and also web contents produced by 4 major NPOs (Non-profit organization) in Korea, accessible unto National Digital Library’s web repository. The mentioned NGO through this MOU contract are; the Beautiful Foundation, Think Café, the Hope Institute, and the Simin corporation these NPOs are making and sharing their own experience and knowledge from their NPO movements and activities so lively. CC Korea and National Library of Congress expect that this MOU consignment will be the first step for the potential cooperation on more concrete and various contents sharing for citizenship education with open resources. The Creative Commons Salon, is a small ‘talk concert’ with tea, coffee and snack for very close and casual atmosphere in which to share ideas and experiences on specific theme, just like in a ‘salon’. The salon’s theme is picked from the open movement area i.e. 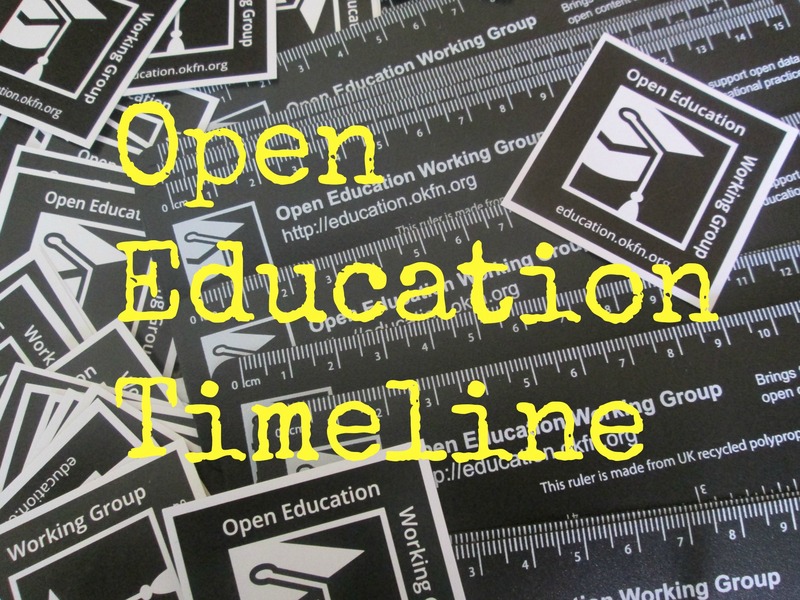 OER, Open government, open data, open source, and many potential ‘open’ things. Among the almost quarterly CC salons since 2010, CC Korea has picked up OER as their salon’s theme for 3 times – 2012, 2013 and 2014. A salon looking specifically at Open Education took place on March 26, 201 in the HahHahHuhHuh Café@Haja Center (Seoul city government supporting center for youth). “Learning Playground” is the outbreak learning and study habit innovation project by in-office elementary school teachers, providing students to grow one’s own learning habit without private academy. Teachers make video clips on current elementary school’s curriculum with their own effort as volunteerism. “Big Camp” is a project to realize the innovative and creative ideas by teacher, student, planner, developer and designer with volunteerism, to make change in education world. Direct link to event posting (only in Korean). CC teachers (inner-group of CC Korea by teachers) and students share their experiences related to OER and educational and learning innovation using OERs. This salon was held as the format of ignite, a serial short presentations with multimedia contents and filled with 11 speakers’ insightful and passionate presentations of their own experience and life change through OERs. Talk 8: “Haru, the development of SNS and the Behind Story” by Seong-beom Park & Hyung-geun Yoon, founder and developers of ‘Haru’ (‘one day’ in Korean), the SNS awarded as most creative service as instant posting, pass-over one day and automatic deleting after one day; this service was developed when they were only 18 year-old as school assignment project. Surprisingly, they learned most of their coding and development knowledge from Google and other OER contents throughout the programming filed. SNOW (Sookmyung Network for Open World): OER platform and translation, localization repository for Korean users run by Sookmyung Women’s University: http://www.snow.or.kr. Many of OER contents are hard to access for Korea because of language barrier, so that Sookmyung Women’s University made volunteerism based translation platform for OER at 2009; SNOW are accessible without charge with continual OER contents uploading by SMU’s students, professors and other users. Smart State, smart people, smart education: Dreamland. This is a post from a guest author. 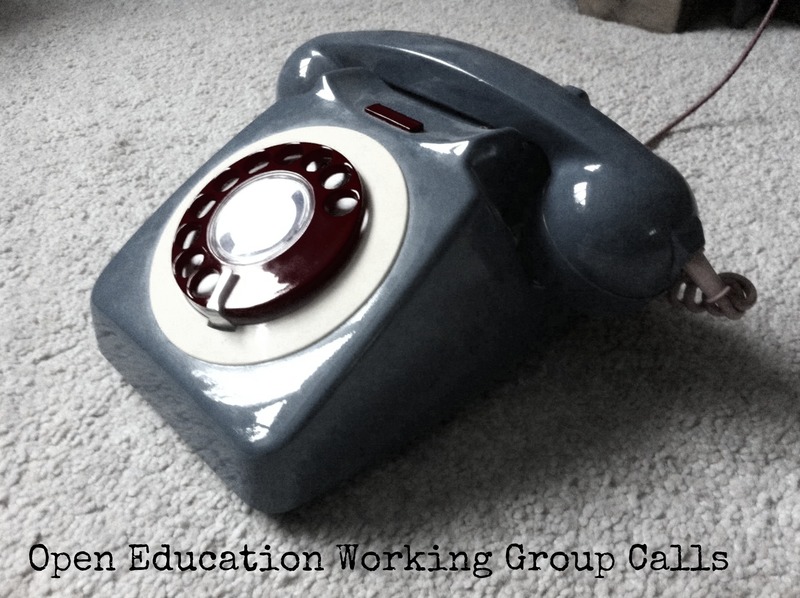 If you would like to write something for the Open Education Working Group then please get in touch!